Going to a Ecuador Swimming Pool is escalating specifically within the elderly population sectors of Ecuador, who've suffered some type of muscle or bone damage. Are you on holiday and would like to maintain fit and healthy? Swimia.com offers you the straightforward and quickest solution to obtain Aquagym in Ecuador near your current location. We most likely don't know all the Pools in Ecuador. Are you missing any? Contact us!. Most of the Ecuador Pools offer both open lanes for independent swimming and also guided activities like water aerobics or Aquabike. Swimia.com has probably the most up-to-date database on the web about just about any Ecuador Swimming Pool. Classified by countries, regions and cities, it is very easy to find the nearest pool at the places you visit. For Ecuador, you could have a look at the pools we have gathered for you. Before trying any pool, be sure you know the rules and regulations for Ecuador Pools as they may not be exactly the same as inside your household town. We suggest you make contact with the pool directly to ask if you will want a hat, and what type of footwear or specific clothing you will need. One of the advantages of outdoor swimming in Ecuador may be the possibility to sunbathe throughout the summer time season. Taking it with extra care, sunbathing is healthful since introduces Vitamin D into the body, so the very best choice seems to be switching among indoor and outdoor pools depending on the season. There are several causes why you ought to choose a heated swimming pool in Ecuador. Probably the most important a single relies on the significance of keeping the body temperature stable. When the water is too cold, your body will try to warm it up and you will lose strength to swim appropriately. Let us tell you a secret to switch off whilst you are in Santo Domingo de los Colorados: just pick a Swimming Pool in Santo Domingo de los Colorados and plunge into the water! There's no additional efficient method. Whereas Cuenca is one of the six most populous cities in Ecuador with nearly 276.964 residents, you shouldn't miss that one if you're going to Ecuador. Without a shadow of a doubt, swimming in Quito could be the very best option to unwind following work. 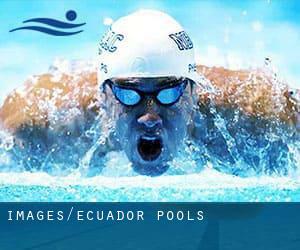 Take a couple of minutes to browse Swimia's catalog to find a Pool in Quito. Holding an estimated population of 1.952.029, Guayaquil is one of the most important cities in Ecuador. Check all the Swimming Pool in Guayaquil and its surrounding area. Calle 19 # 107 y Av. Roldo , Quevedo . This sports center gives Olympic size, 10 lanes, Outdoors. For this Swimming Pool, only phone number is number here. Avenida González Suárez N27-142 , Quito . Swimmers like you reported ~25 yards x 6 meters, Outdoors. Phone number and e-mail address are number for this Pool. Avenida Malecón and Calle 20 , Manta . Swimmers like you reported Olympic size x 25 meters, 10 lanes, 2.25 meters depth, 2.25 meters depth, Outdoors. Unfortunately we do not have the email address of this Swimming Pool, but we can give you the phone number.